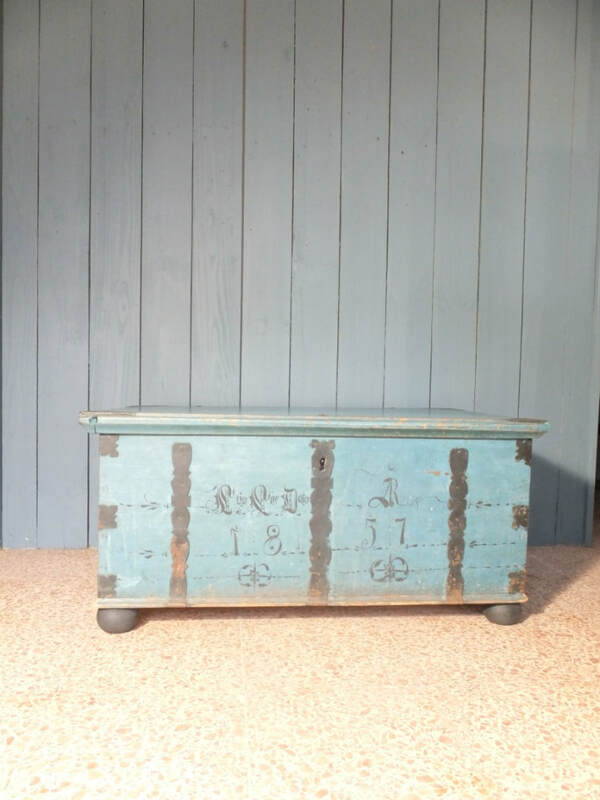 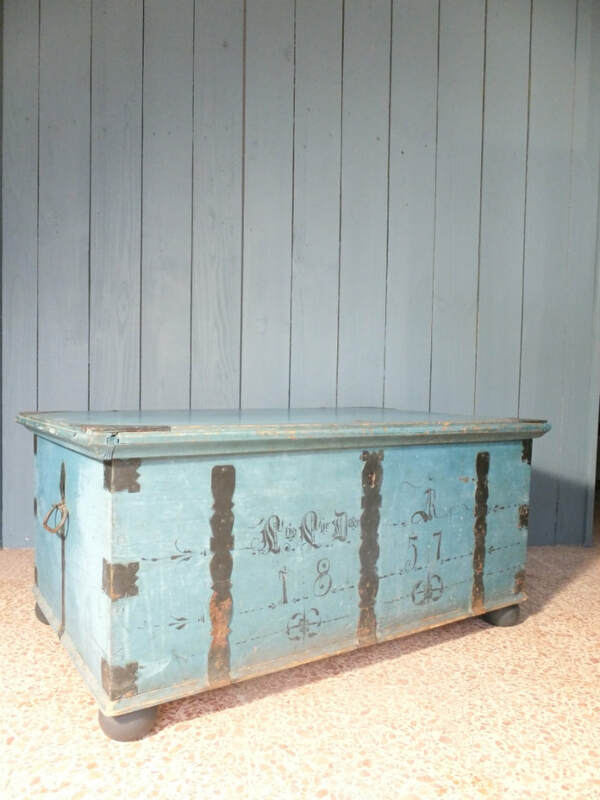 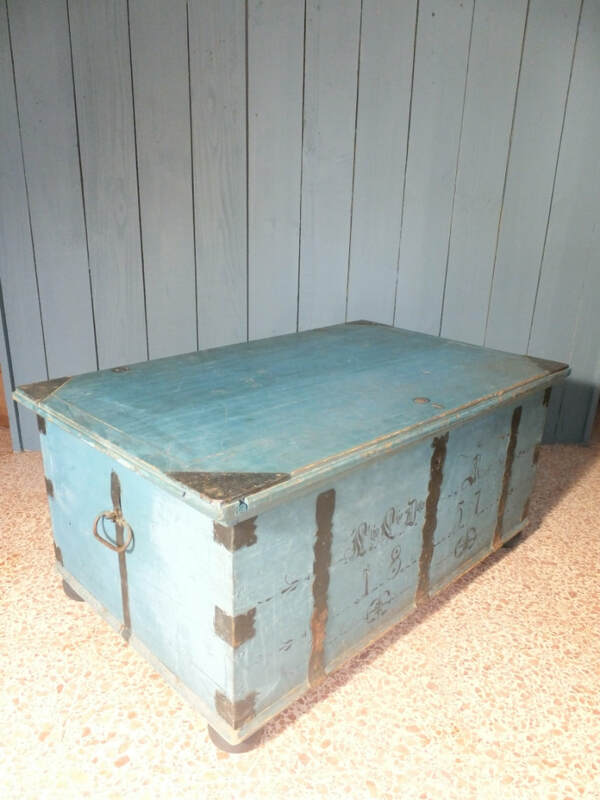 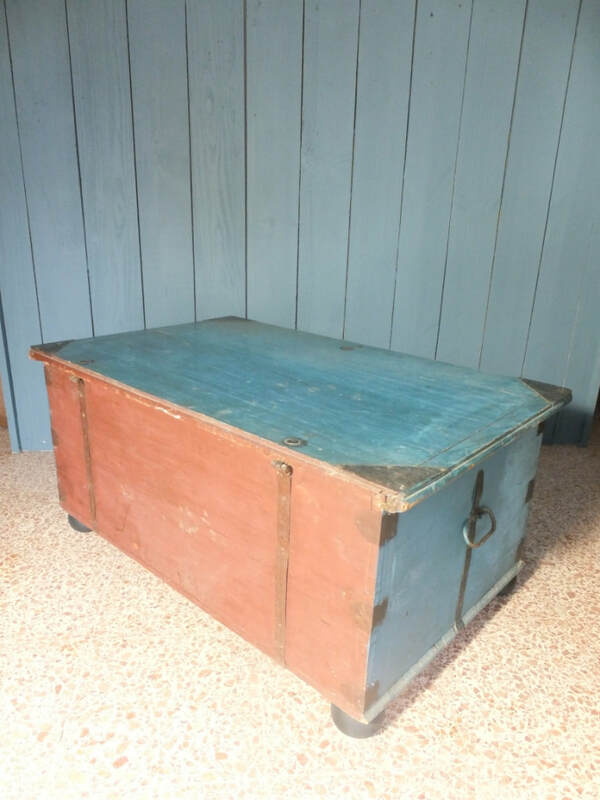 A excellent Swedish iron bound trunk painted in an original and magical dark teal blue. 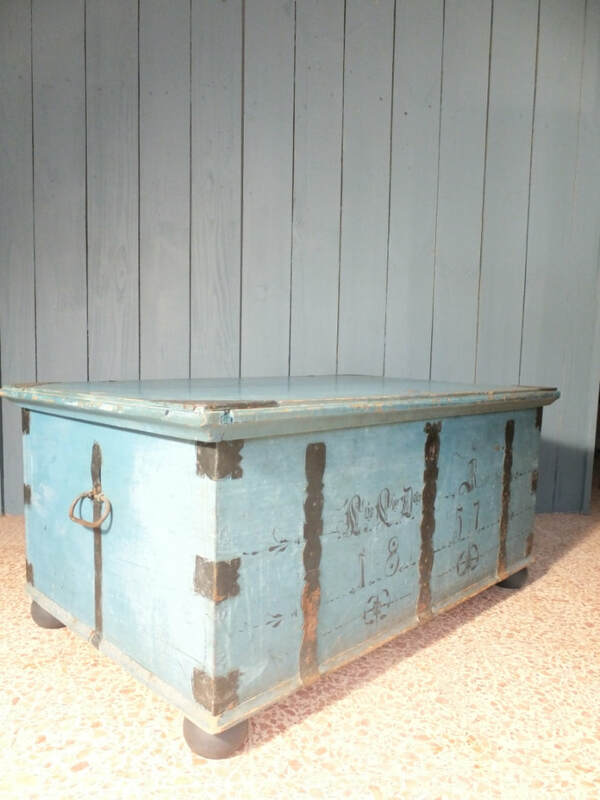 The front bearing initials and an original date of 1857. 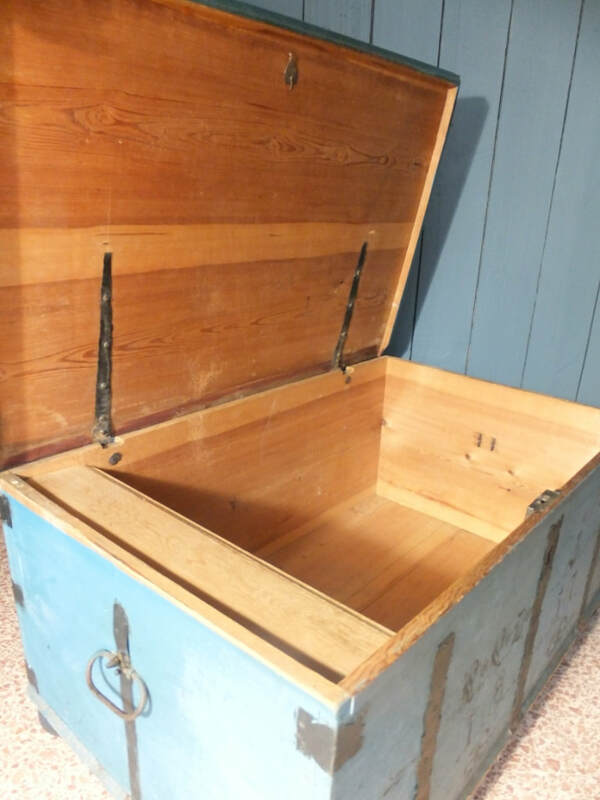 A good clean interior with fitted candle box, raised on later bun feet.